Henry Sharp was born on 21 September 1879; Henry Sharp appears as a child of John and Salinda Sharp in the family notes sent to me by Helen Sharp Morris from the records of William L. Sharp. This child does not appear in Vinton County birth records or census records.1 He died on 11 April 1888 at Ohio, USA, at age 8. James Elias Sharp was born on 24 April 1771. He married Sarah Ware circa 1789.1 James Elias Sharp died on 2 February 1857 at age 85. He was buried after 2 February 1857 at Prattsville, Vinton, Ohio, USA. Jennie P. Sharp was born in 1874 at Ohio, USA. As of circa 1894, Jennie P. Sharp was also known as Jennie P. Stanley. She married (?) Stanley circa 1894 at Ohio, USA.1 Susan Sharp's Research Notes: Is this kid Sarah A.? If so , I really couldn't read the census taker's writing. Notes of Helen Sharp Morris indicate this is Jennie P. (writing in U.S. Census 1880 looked like Jessire)., but birth dates conflict. The child, Sarah A., appears in Vinton County birth records but not family records or Census records. Helen Sharp Morris' notes indicate that Jennie had 13 children.2 Jennie P. Sharp was buried in 1940 at Ohio, USA. She died in 1940 at Ohio, USA. [S69] U.S. Census, 700 Pennsylvania Ave., NW, Washington, District of Columbia, USA. Joseph Walton Sharp was born on 14 August 1838.1 He married Elizabeth A. Kelly on 21 February 1862.1 Joseph Walton Sharp died at Mansfield, Richland, Ohio, USA.1 He died at Mansfield, OH. Keziah Sharp was born on 18 January 1850 at Ohio, USA. She married Elzamus Albaugh on 29 May 1868 at Vinton, Ohio, USA. As of 29 May 1868,her married name was Albaugh. Keziah Sharp appeared on the census of 1870 at Madison Twp., Vinton, Ohio, USA; I cannot find a copy of this census online at ancestry.com. Therefore, at this point I can't make a citation. -- CJD. [S94] Sharp-Albaugh Marriage License: Marriage Record: Carroll County, Ohio, Marriage Records (1833-1849), Page 155, No. 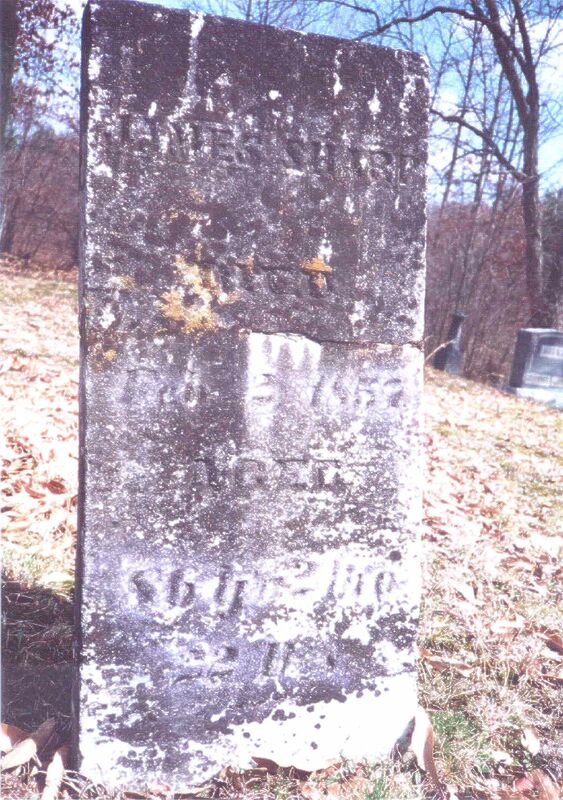 1013, Allbaugh, Soloman & Kesiah Sharp 16 August 1840, Samuel Wm, JP-23 Oct 184_?. Collection: United States Census, 1850. Lloyd Wayne Sharp was born on 6 February 1897 at Bucyrus, Crawford, Ohio, USA. He According to his mother's notes, LLoyd was born at his home inBucyrus , Ohio on Saturday evening at 6:00 P.M. on 6 February 1897.LLoyd graduated from Miami University in Oxford, Ohio. While a studentat the University he was one of the founding members of 'The CampusOwls', a dance band still in existence in 1994. He and his brother Bobplayed in the band to help defray expenses. 'Shorty', as LLoyd wasknown, was a member of Phi Kappa Tau fraternity at Miami. Shorty wasa music teacher in Camden and Niles, Ohio for a few years. He and hiswife, Cyrena, 'Cy', were fond of ' the good life'. So after a fewyears Shorty left the teaching profession and entered the insurancebusiness. He also sold stocks and bonds for a Dayton, Ohio basedcompany. This new career took him to Youngstown, Ohio, and Texas.Finally, the family settled in Eaton, Ohio. He and Cy had a 'live-in'maid, belonged to 'The Youngstown Club', and LLoyd did not want hiswife to work. Shorty was someone who could get along with anyone. Hewas very gregarious and associated with people from all walks of life.He died of cancer in a Dayton hospital. He was 59 years, 1 month, and12 days old. These notes are from the recollections of RobertHenderson Sharp, Shorty's brother. Services were held at The BarnesFuneral Home in Eaton, Ohio on March 21, 1956 at 2:00 P.M. TheReverends Herman A. Sayre and Richard Coad officiated. Pall bearerswere Walter Earley, Robert Barnd, Wendell Aker, Sam Fulks, FredBrower, and James Foster. The place of burial was Mound Hill Cemeteryin Eaton, Ohio. He was present at Lloyd Wayne Sharp's christening at Bucyrus, Crawford, Ohio, USA. He died on 18 March 1956 at Dayton, Montgomery, Ohio, USA, at age 59. He was buried at Ohio, USA. Margaret Sharp was born on 10 October 1848 at Ohio, USA. She Tombstone in the old Prattsville Cemetery reads MARGARETT (all caps), Dau of T & M, Sharp, Died, June... stone broken here, Aged, 10years, 5 months,10 days. (According to the U.S. Census records thisage cannot be correct. The stone is hard to read, but I have beenthere twice to look at it and this appears to be what it says.) Birthand death dates given to me by Sherry Hunter Strickland in a letterdated 21 March 1995 from information contained in the family recordsof her Uncle Bill seem to confirm the above age at death. Censusrecords may have said Margaret when Martha was the child they meant? She died in 1859. She was buried at Prattsville, Vinton, Ohio, USA. [S216] Jon H. Livezey and Helene M. Davis, Harford County Marriage Bonds, p. 64. [S38] 1850 U.S. Census, 700 Pennsylvania Ave., NW, Washington, District of Columbia, USA, population schedule, Center Township, ED 106, SD ?, sheet 455 (889), Family# 149. Morris Sharp was born on 3 October 1835 at Ohio, USA. He married Sina L. Hill on 12 December 1861. Morris Sharp married Elizabeth B. Hull on 23 September 1871 at Vinton, Ohio, USA. Morris Sharp Book: Marriages in Vinton County, Ohio 1850-1870 by Mary J. Hixon andFrances Hixon. Morris Sharp and Sina L. Hill 12 December 1861. U.S.Census 1870, Vinton County, Ohio, Madison Township, page 129. MorrisSharp, age 34, is listed as living with Thomas Sharp. He 'works onfarm' and was born in Ohio. He has no wife listed. The date of birthwas given to me by Sherry Hunter Strickland in a letter dated 21March 1995. The information came from the family records of her UncleBill. [S86] Susan Sharp, "Susan Sharp's Research Notes", Marriage Record: Carroll County, Ohio, Marriage Records (1833-1849) Page 81, Date of marriage 15 December 1837. John Shober J. P.According to Carroll County , Ohio Common Pleas Record (1845-1848) Book D, Pages 709, 710, 711, Perry James and Sarah Sharp James lived in the State of Iowa.